A reluctant “prosecutor” « Hercules and the umpire. This may not interest anyone except those who study Nebraska legal history. Then, again, it is sufficiently weird that it may be interesting to others. I will tell the story. You decide. As I indicated in my post on Bill Barrett, in the early 1980s I was hired to represent the Nebraska legislature when a state savings and loan company went under and many Nebraskans lost a lot of money. One of my jobs was to investigate the involvement of Attorney General Paul Douglas. To make a long story short, one of my investigators, a detective with the Lincoln police department, dove into the records of the failed company and came up with a check that seemingly proved that Douglas had been involved in “straw man” loans with the company. That was a problem for Douglas, particularly because he also had oversight authority of the banking department that regulated the failed institution. To make matters worse, Douglas had assigned an assistant attorney general to that task who owed a lot of money to the failed institution and she had previously been married to the Attorney General’s business partner. I became convinced that Douglas had not been honest with the Nebraska legislature when he testified that he did not understand the nature of the fraudulent transactions he had engaged in with the company. Basically, the transactions worked like this: (a) Douglas and his business partner would borrow money from the failed institution to buy real estate owned or financed by the financial institution; (b) someone controlled by the institution would buy the real estate from Douglas and is partner with financing from the failed institution; (c) Douglas and his partner would profit from that transaction; (d) the new loan on the real estate would be booked by the institution and the sale price would indicate that the institution was well secured by the real estate that now had an inflated value. The straw buyer from Douglas and his partner would hold the real estate until he or she could sell it. This worked fine until it didn’t; that is, until real estate values crashed in Nebraska and throughout the nation. The question for me was whether I should advise the Nebraska legislature to impeach Douglas. At that time, there had been only one impeachment in Nebraska’s history and it had failed. See State v. Hastings, 37 Neb. 96, 55 N.W. 774 (1893); State v. Leese, 37 Neb. 92, 55 N.W. 798 (1893); State v. Hill, 37 Neb. 80, 55 N.W. 794 (1893). Moreover, that earlier impeachment was before Nebraska had a unicameral legislature. With the advent of the unicameral legislature, impeachments were of necessity tried in a real court, the Nebraska Supreme Court, and not in the Senate of a bicameral legislature. The standards for an impeachment conviction were impossibly high: (1) although the only “punishment” involved was the loss of office, the Nebraska Supreme Court treated the proceeding as “criminal” in nature and required proof beyond a reasonable doubt; and (2) a majority of the Justices (four) was not sufficient to convict, a super-majority of five out the seven was required to find “guilt.” Moreover, we would have almost no time to prepare because the trial was required to be held in ten days and that time limit would not be extended! I was instructed to draft articles of impeachment that could be used in two ways. The legislature could adopt the articles, but, instead of impeachment, officially reprimand Douglas, call for his resignation and refer the matter to the Nebraska Counsel on Discipline for an ethics probe. This was the alternative I recommended arguing in a memorandum (leaked by a Douglas supporter and state senator) that a conviction would be very hard to obtain given the criminal nature of the proceedings, the requirement of proof beyond a reasonable doubt, the need for a super-majority of justices to find “guilt,” and the ten-day time to prepare. The alternative was impeachment. When the day of the debate came, I was stunned as I watched the proceedings unfold. The body elected to impeach, and it was my job to try the case. I needed help. So, I called my friend Wes Mues, who later became a distinguished appellate judge. I have written about Wes in these pages and in particular his tragic death in an auto accident. Wes and I decided that we would try the case as fast as possible leaving Douglas’ defense team little time to prepare. (In about three days, we called 21 witnesses* and offered 103 exhibits.) We also sought to call Douglas as a witness but the Supreme Court quashed the subpoena on “Fifth Amendment” grounds. We did not call the principals of the failed institution because they were being prosecuted in state court and they were also the subject of a federal grand jury investigation. ** If the impeachment trial was truly a criminal case, we could not ethically call anyone who had a legitimate Fifth Amendment privilege if we also knew the witness would invoke the privilege in front of the finder of fact. When Wes and I had our first “status conference” with the defense team and the Supreme Court we quickly realized that there was an evident hostility among some of the judges toward our side. Judge Boslaugh was presiding because the Chief Justice and two other justices had recused themselves and in their place state district judges had been substituted. Boslaugh quickly threw us a curve. “Who do you represent?”, he asked. I replied that we represented the Nebraska legislature. Boslaugh disagreed. He instructed us that we were no longer representatives of the legislature but we were henceforth “special assistant attorneys general.” We were told that we represented the State of Nebraska. We objected, and told the judge that we would have to consult our client, the legislature. Boslaugh implied that he would kick the case if we did not relent. We spoke with our client–through the two legislators who had been designated as “managers.” They agreed that we had no choice, and Wes and I became “special assistant attorneys general” representing the State of Nebraska. And, that dear friends became very significant as I will next explain. Working day and night to get ready, Wes and I went into seclusion at the Super Eight motel. We had help from young staffers from the legislature. They were willing but none of them had ever been in a trial. Wes called one of his law partners, Graten Beavers (who later became a county judge). He had a lot of experience as JAG prosecutor, and Graten drove from Kearney to Lincoln to help us. But we remained under the gun. A very experienced criminal defense attorney from Omaha called. His call was a bombshell. His client was the mastermind of the “straw man” loans and the main principal at the failed institution. Since Wes and I were now special assistant attorneys general, we had the power to grant immunity. He wanted a deal. In exchange for immunity in the pending prosecution in state court, his client would appear as a witness against Douglas and explain fully that the Attorney General knew exactly what was going on. I listened, and told the lawyer I would have to get back to him. My initial inclination was to reject the offer. It was too high a price to pay. But, without that testimony, we almost surely would be unable to convince five judges beyond a reasonable doubt that Douglas had guilty knowledge. I decided that I needed to consult with the local prosecutor. His name was Mike Heavican. I did not know Mike then, although I consider him a good friend now. He later became the United States Attorney for the District of Nebraska and presently serves as Chief Justice of the Nebraska Supreme Court. When I called Mike, he was very helpful. Essentially, he said that he thought it would be wrong to do any deal. Even a deal limited to use immunity would put the malefactor in a position to argue for leniency if, as was likely, the state criminal prosecution against him was successful. Mike and I agreed that I should completely reject any offer of cooperation. And I did. based on the evidence before us, we find beyond a reasonable doubt that the misrepresentation by Douglas was willfully done with a corrupt intention. Specifically, we find that Douglas is guilty of specification No. 1 of the articles of impeachment and resolution submitted by the Eighty-eighth Legislature, Second Session, of the State of Nebraska. Therefore, we would find that Paul L. Douglas has committed a misdemeanor in his office as Attorney General of the State of Nebraska. State v. Douglas, 349 NW 2d 870, 903 (1984). So, I will conclude with a question. 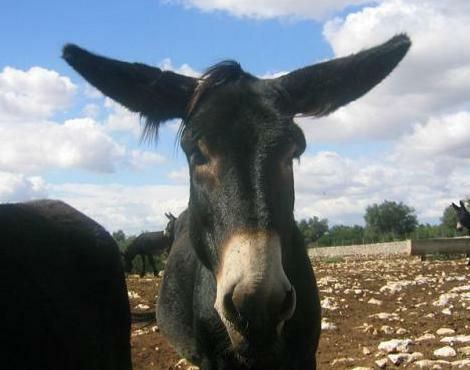 Was I a dumber than a mule for rejecting the cooperation agreement? To this day, I go back and forth on the answer to that question. Quite frequently, I bray and wiggle my pointed ears. *Among other witnesses, we called the brilliant Ronald D. Rotunda, a constitutional law expert, an ethics expert and a lawyer who served as assistant majority counsel during the Watergate scandal and investigation. **As a side note, the feds had brought in a special prosecutor from the Department of Justice. I had convinced him to give me the grand jury transcripts under Federal Rule of Criminal Procedure 6 as it then existed. On the day I was scheduled to drive to Omaha to get the transcripts, the DOJ prosecutor pulled the plug asserting that the FBI’s “in-house counsel” did not believe that disclosure was permitted under Rule 6 because I was really not a prosecutor. Tell that to Justice Boslaugh, I thought to myself. ***Tom Shanahan later became a federal district judge and my dear friend. I never spoke to him about the Douglas matter. ****Mr. Douglas was later prosecuted for what amounted to perjury. I testified against him. He was found guilty but his conviction was overturned when the Nebraska Supreme Court found that the legislative committee that administered the oath lacked the power to do so. See here. Subsequently, Douglas lost his law license for four years, was reinstated and practiced law until his death. See here. Mr. Douglas later appeared before me several times. It was awkward. That said, he always treated me with respect and he always did a good job for his clients. So far as I am concerned, Paul Douglas was a good man and a good lawyer who made a bad mistake. He passed away in November of 2012. See here. In answer to your question, I think you should have entered the cooperation agreement but I don’t think it was “dumb as a mule” not to. Hard decision. Beyond that, quite likely it wouldn’t have made any difference because a narrow acquittal was in the cards, and even if you had produced the cooperating witness the Nebraska Supreme Court could hang their decision on finding him not credible. I should think you would find this argument to be “nonsense on stilts” but I’d be interested to know if I’m wrong. Paul Douglas was a fine lawyer and a good man, he was also a dear friend. He carried the weight for the Legislature’s decision to create the absurd unfunded insurance fund and the refutation by many Nebraskans of the idea of market signaling. I think your decision was prudent, the indecency of immunity for the central bad guy outweighted any public benefit. Question was the AG required to be a member of the bar? If so would disbarment or suspension have removed him, as was the case with Omaha Muni Ct judge Lester Palmer? No library any more. The first governor of Nebraska, David Butler, was impeached.and convicted. See Nebraska Blue Book, 2000-2001, p.421 ; Sheldon, History of Nebraska, vol. 1, pp. 425-450. State auditor John Gillespie was also impeached but not convicted., Shelon, supra. I’m not a Nebraskan, have only driven through it once or twice, and am not particularly interested in Nebraska legal history. But I found this completely riveting. Thanks for sharing. Question: why did you not recuse when he appeared in front of you later on? Wouldn’t that have at least created an appearance of partiality? And, even aside from the legalities of the sometimes-murky-recusal standards, wouldn’t it have been the prudential thing to do? I don’t mean to suggest impropriety there–I’m just fascinated by your thinking on that (which I think would perhaps be worthy of a post of its own). Thank you for your comment. I have several personal observations to go along with yours. You might be interested in knowing that several years before this all came up, Mr. Douglas offered me a job defending Nebraska in civil litigation. I came very close to accepting the job because I truly liked him and thought of him as an excellent Attorney General, but I ultimately turned the offer down because I had so much respect and affection for my partner Ed Cook. Earlier, I had hosted Paul and Governor Charlie Thone at my home in Lexington as a part of a Dawson County Republican Party bash. Just like Charlie, Paul had an uncommon ability to relate to regular people. One of my dearest friends worked for and with Paul. Our friendship was lost over this matter, although we have since repaired it to the extent that such breaks can ever be glued back together. Finally, in my opinion, and while I don’t know the answer to your legal question, Paul did the honorable thing by resigning even if he could have stayed on as AG after the law license suspension. His resignation said a lot about his true character. In sum, the whole darn thing made and makes me sad then and now. A lot of people don’t believe that, but it is true. I never intended to get a “trophy” to hang on my wall or to harm Mr. Douglas to advance my career. That I know in my heart. Of course, you are right, sorta. In 1877 the Legislature reviewed its prior action and adopted a resolution expunging the Butler impeachment proceedings from the record. See here. I thought about recusal. But, by then, more than a decade had past. In short, under the relevant statutes I did not believe recusal was warranted. Paul’s obit indicates there was no requirement that AG be a lawyer. He would have know. Palmer was a colorful character from the days of direct elections, what the Irish would call a step in the hollow.. Your decency always shines in the blog. Judge: You are a wonderful writer and readers don’t even need to be Cornhuskers to enjoy it. The problem, of course, is that while there were no constitutional or statutory requirement that the AG be a lawyer, his assistants could not ethically take legal direction from him on specific cases if he was not a lawyer and there would always be the unauthorized practice of law problem. Paul cared too much about the State and the AG’s office to put everyone through that turmoil even though I am sure he was convinced that he had been made scapegoat. All the best. You have been smoking too many cornstalks, but keep it up. All the best. i’m trying to wrap my mind around that rationale to not pursue the testimony and am failing. Times were different back then i suppose. I don’t mean to put Mr Douglas down, the couple times i met him he seemed nice enough, but i’m going to in response to his defenders. Paul Douglas’ actions were not honorable. Lying to investigators and using his office to gain financially are not hallmarks of an honorable person. The little i’ve read about this, it wasn’t a mistake or one time bad decision, rather ongoing conduct to make a wealthy person more wealthy. He abused his position and should have recieved the same fate as my clients whose last name no one cares about, prison. Korey, I had similar thoughts. I don’t think the calculated behavior Judge Kopf alludes to should be called a “mistake”, and wouldn’t be if done by some no-name not a member of the club. I guess it’s human nature that the status of the litigants will matter in lots of ways. But it shouldn’t mean everything, and it seems sometimes that it does. The thought was that we did not want to give the malefactor one chance out of million to mitigate his sentence. Frankly, I don’t think any of us trusted him either. But, I was young and dumb and had never been a prosecutor before. In the past, you and I have talked about the need for prosecutors to cut “square corners.” I was really into that then, and more than a little sanctimonious to boot. Was it the right decision? You will forgive me but, with due respect, it’s done and over. Revisiting it will likely do nothing but take some lining off the inside of your stomach. IMHO, three things matter much more: 1) you were never motivated to prosecute Attorney General Douglas for your own personal gain; 2) the entire situation seemed to have ameliorated itself (somewhat) with the passage of time; and 3) you had the privilege of being associated with truly honorable people, such as Judges Mues, Beavers and Heavican, each of whom reaffirms our belief in the legal profession as one with mostly good and decent individuals. Just my two cents. What a good perspective. Thank you. Dude – you did the right thing! Was I a dumber than a mule for rejecting the cooperation agreement? Nope, says this non-lawyer. The guy whose case would have been impacted by a cooperation agreement, who also was the guy who knew more about his case than did you, thought the overall gain for both cases taken as a whole would have been less than the damage done his case. His concern should have carried the weight, and it did. Still rethinking this after all these years? Robert is right. But I also post mortem the major decisions I’ve made. Forever. Frequently and ad nauseum. My wife has the patience of a saint. Misdeeds always have a primary source–usually one rooted in something one internally rationalizes or justifies. Who among us has not rolled the dice and hoped for the best? Risk assessment is a tricky business. Clearly, we all would hope not to engage in illegal misdeeds, but the slope can be very slippery–especially when we believe in our own hype and abilities. Any insight on why Mr. Douglas did this beyond the ostensible reasons of protecting the bank’s book value and profiting–although profit may not have even been a primary factor? Based on prior comments regarding Mr. Douglas’s personality, I imagine friendship with a sinking ship’s captain was involved. Thanks for the weird, interesting story. I enjoy your blog. Thanks for the vote of confidence. I just don’t know even now. I told you before, you shoulda gone to law school. All the best. Interesting insight. Thanks for your engagement.